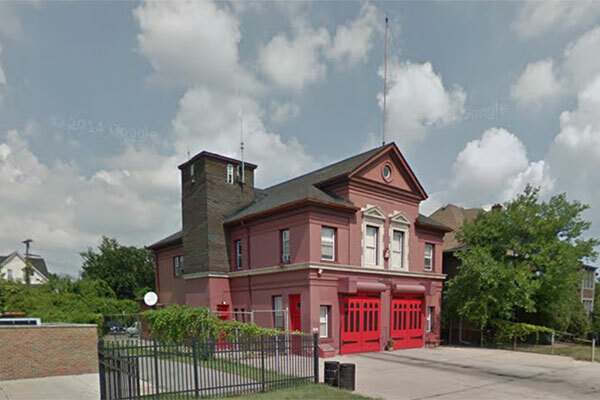 Notes: Ladder 15 organized 1911, relocated to E24-1 in 1947. Operational Period: 1911 to 1947. 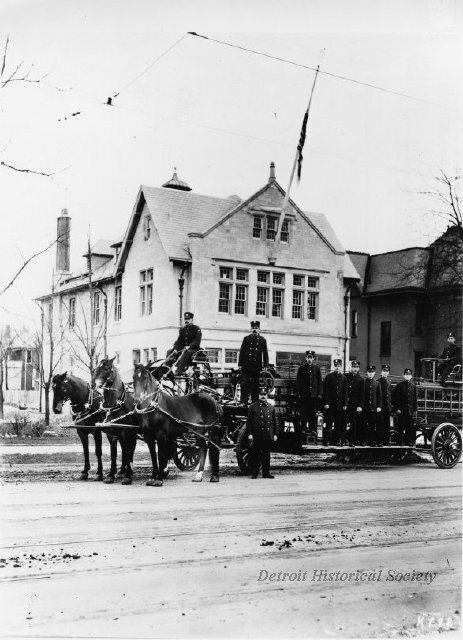 Description: Ten firefighters in, on the running boards of, and near a horse drawn ladder apparatus posed in front of the firehouse of Ladder Company No. 15 on Westminster at Woodward. 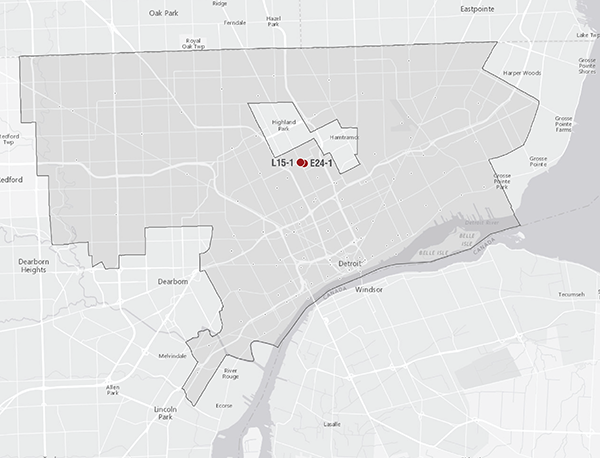 Notes: Ladder 15 disbanded 1980. Operational Period: 1947 to 1980.